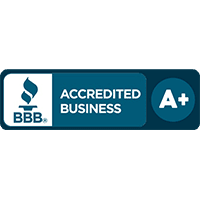 Rainbow Seamless Systems, Inc. is a family owned and operated business based in Northern Michigan. Owners Pat, Mike and Matt Collins have over 100 years of combined experience in the home improvement field and unite their industry expertise and passion for service in running the company. In 1985, the Collins family decided to return to Michigan to live closer to friends and family. They missed the winters along with all the seasonal changes and beautiful Lake Michigan and so moved from Tulsa, OK back to Harbor Springs, MI. In 1987, the family started Rainbow Seamless Systems. Everyone we knew said we couldn’t install seamless gutters in Northern Michigan—the ice and snow will tear them off! But we proved them wrong and after only two years of success and growth, we were able to open an office in Traverse City. Today, we continue the Collins family tradition of service and excellence and have extended our company’s reach to include Petoskey, Gaylord, Cheboygan and the surrounding areas. 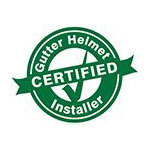 We’re proud to be an authorized dealer for Gutter Helmet®, the brand that has been the number one choice in gutter protection in the US since 1981. The system has a brilliant nose-forward design that keeps leaves, twigs and debris out of your gutters without obstructing the flow of water. With Gutter Helmet®, you’ll never have to clean your gutters again—guaranteed! Millions of homeowners across North America have chosen Gutter Helmet® to protect their homes and households. We hope you will, too. 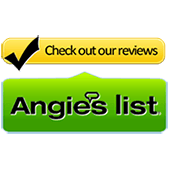 Get in touch with our office and get a free, no-obligation estimate by calling (800) 824-3772. We also have a convenient online form you can fill out if you wish to schedule a free on-site consultation with one of our Gutter Helmet® experts. We look forward to serving you!